These year one Passover activities offer recipes and crafts that teach kids about Jewish traditions. 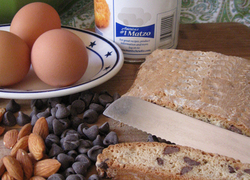 Chocolate-covered matzo makes for a delicious and educational treat. For more cultural learning, browse all of our Community & cultures activities. 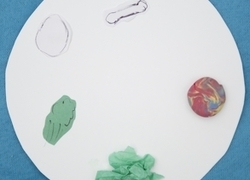 This activity will have your child cutting and gluing to his heart's content. What's more, he'll create a pretty, mixed media plate for Seder while he's at it! 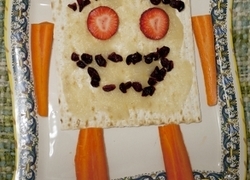 Help your child use matzoh to create edible decorations that feature the smiling faces of family and friends. Here's an amazing recipe your kids are sure to gobble up, whether they're Jewish or not.